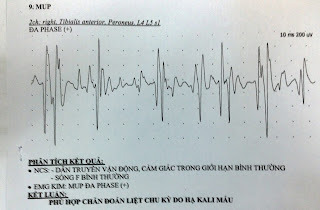 Man 47 yo, 3 times paralysis at get up in the morning, he came to hospital for emergency perfusion potassium and to MEDIC for check- up. 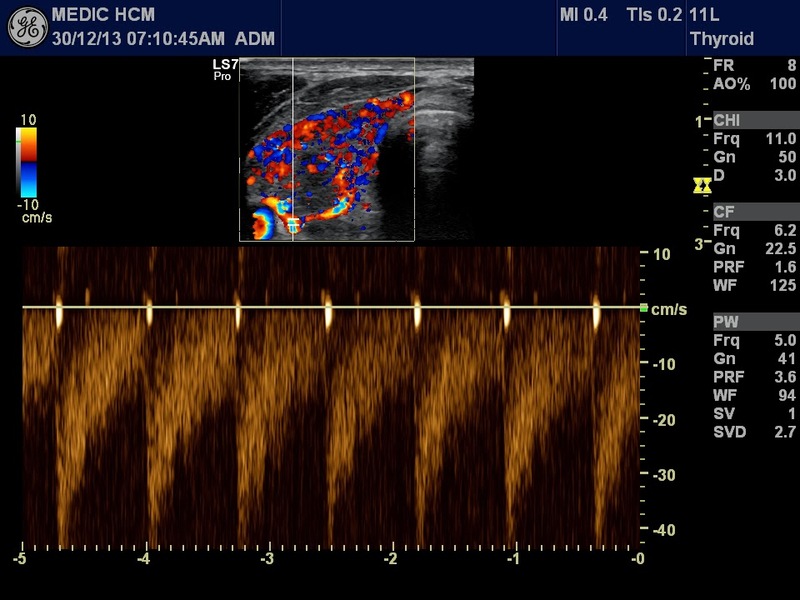 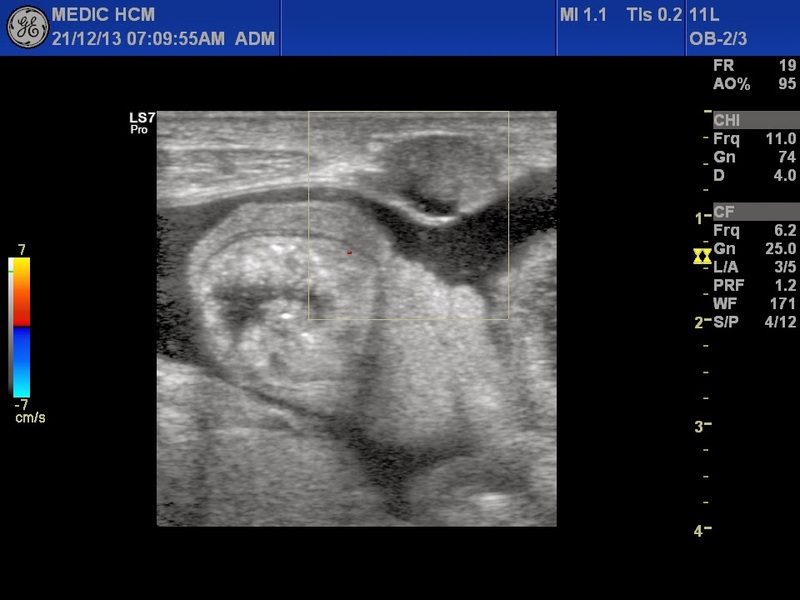 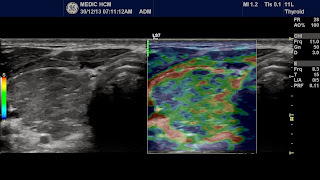 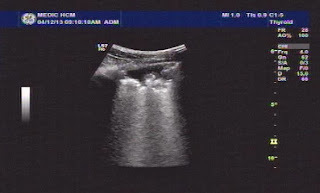 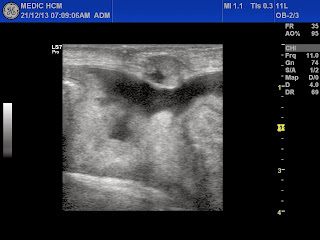 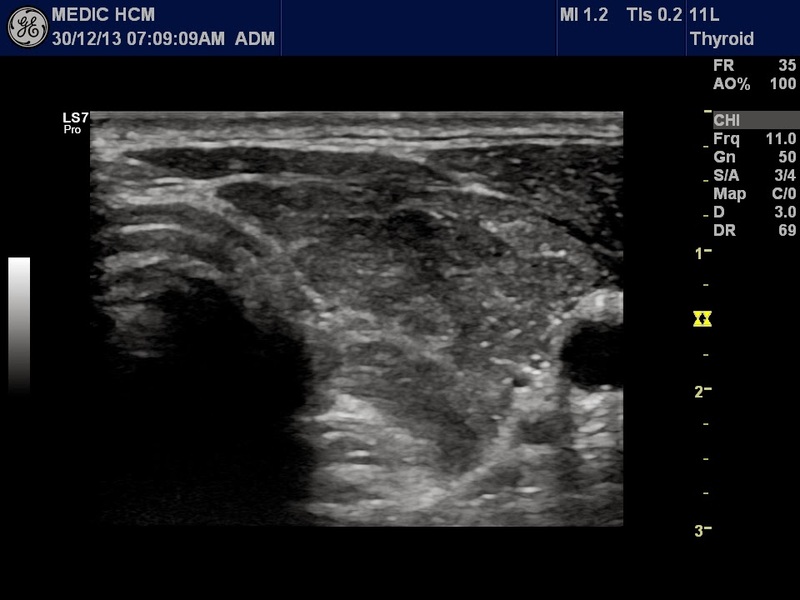 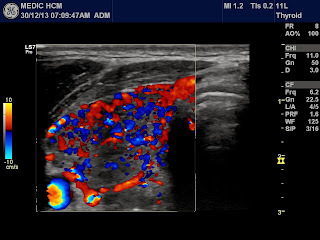 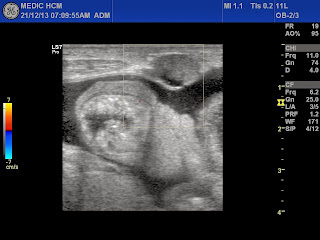 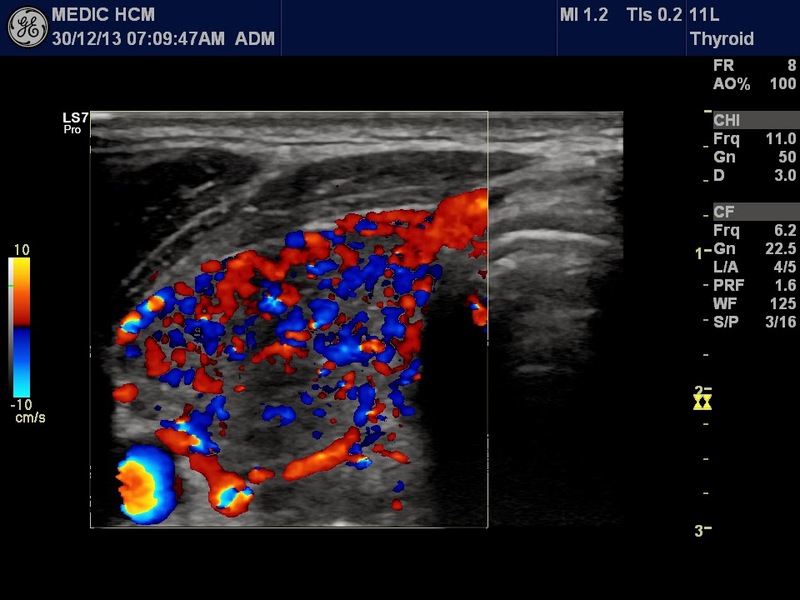 Ultrasound of abdomen no abnormal detected, no adrenal tumor, but ultrasound of thyroid gland is black , CDI hypervasular , typical of hyperthyroidis .and soft with elastoscan. 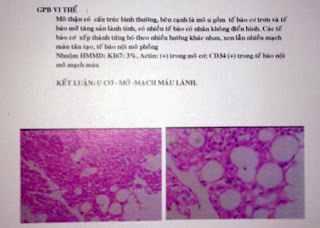 Blood test are very low TSH , high T3, T4, TPO. 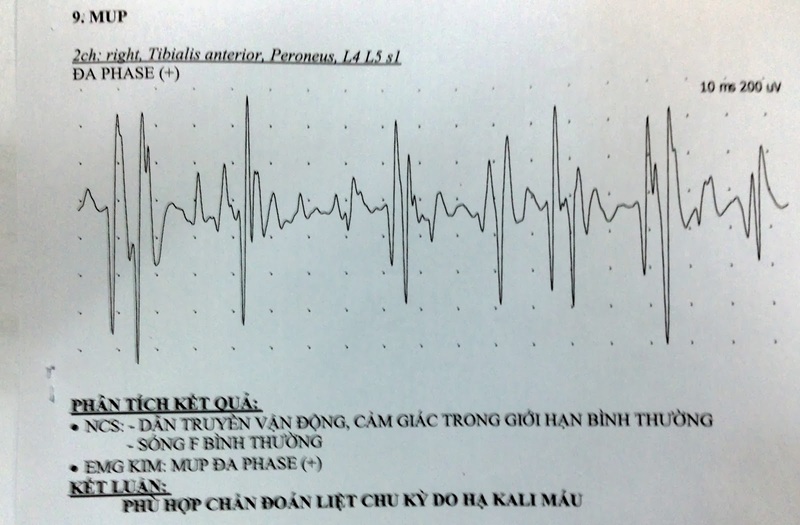 EMG was signal of hypokalemia. This case is TpP. Medical treatment of anti thyroidism is requested. Woman 74 yo with chief complains of anorexia, colicky pain for one month. 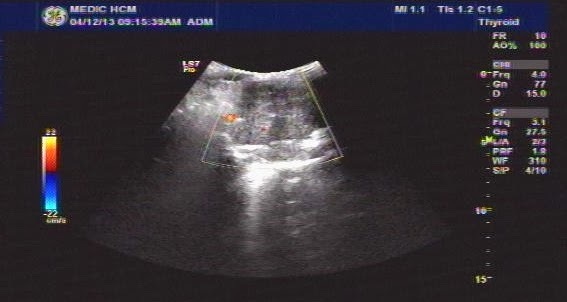 Ultrasound detected ascites and left pleural effusion, and at periumbilical area, there was an umbilical tumor with size of 1.5cm, solid and low vascularity. 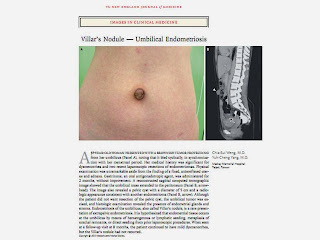 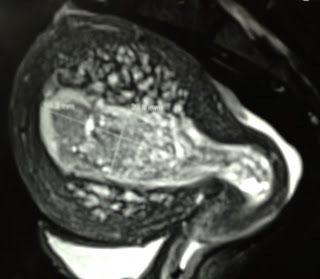 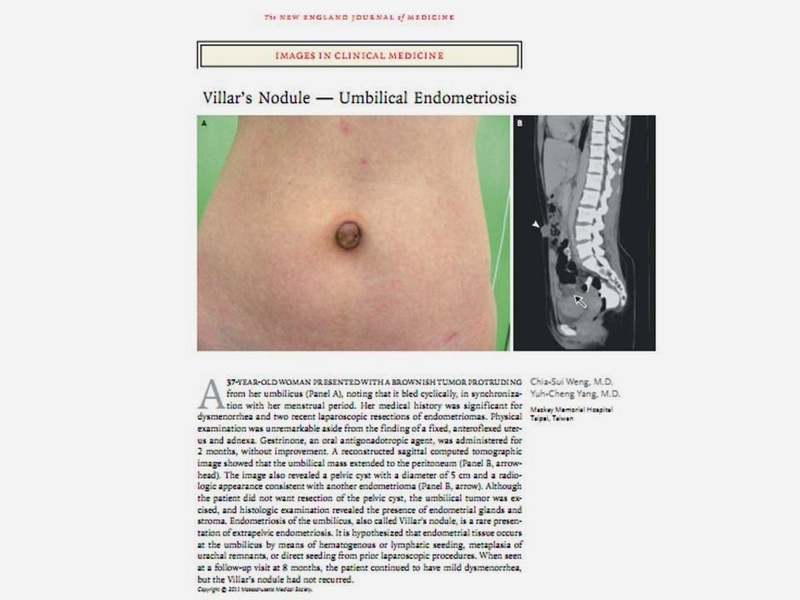 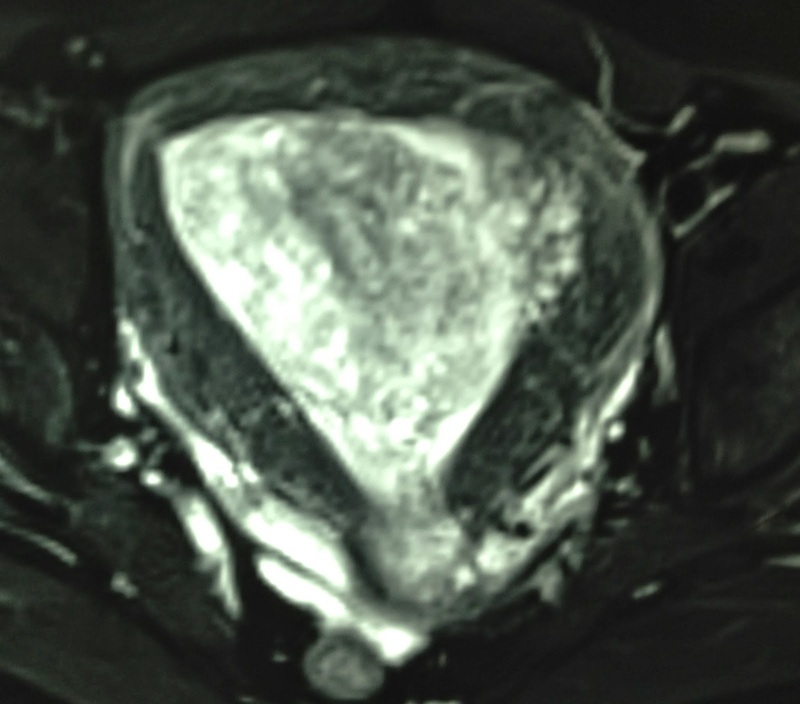 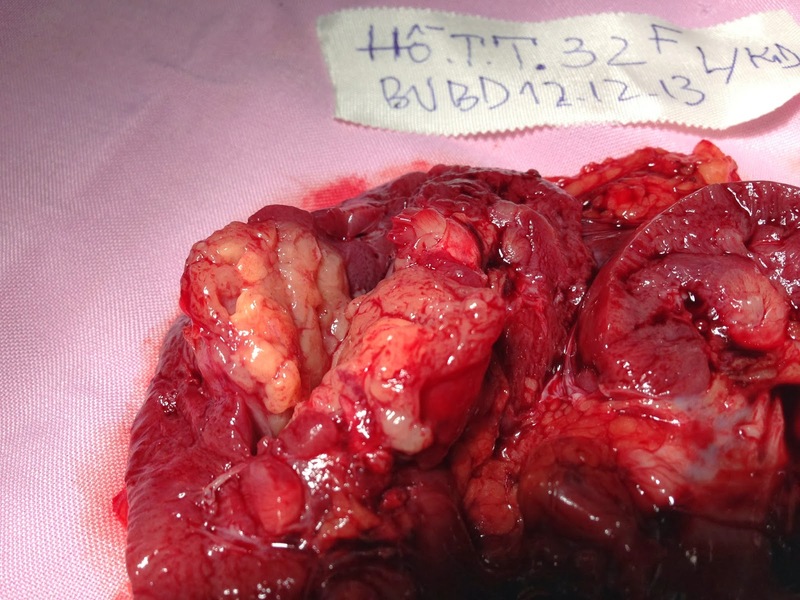 MSCT of abdomen also doesn’t find any intra-abdomen mass, but the umbilical tumor was very high CE enhancement. 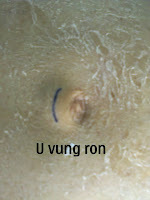 Blood tests : CRP= 806 ng/mL, albumine = 2.4 mg/mL, CEA normal, CA 125 = 611 UI/mL. 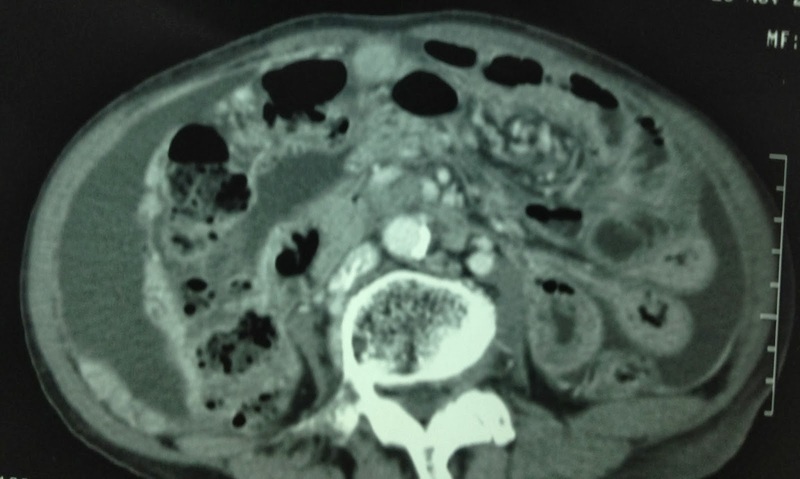 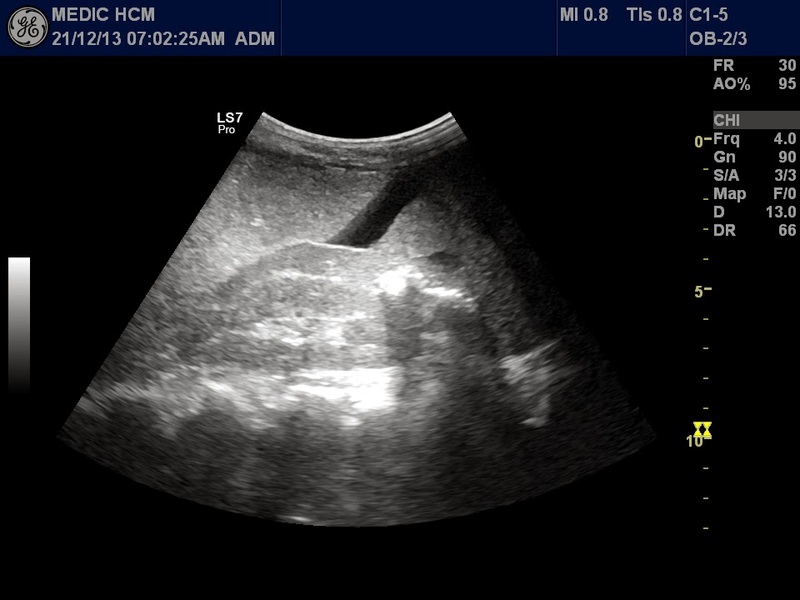 Ascites in puncture : yellowish fluid. 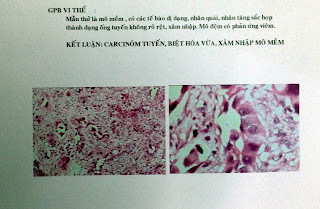 Cytology analysis= 71% lymphocyte, ADA=16 ng/mL , Amylase= 109 UI/mL , CA 125 = very high more than 600 UI. Biopsy of umbilical tumor was done. 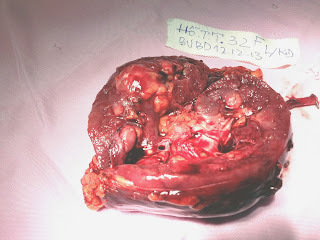 MICROSCOPIC REPORT WAS ADENOCARCINOMA METASTASES TO UMBILICUS. 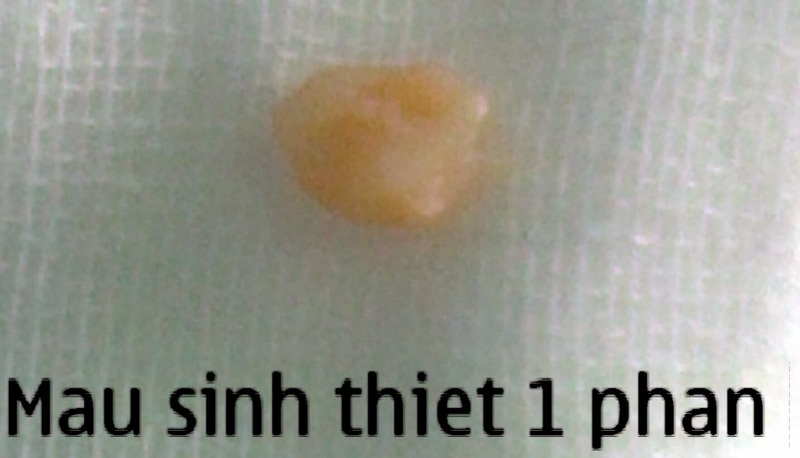 IT IS SMJN. (SISTER MARY JOSEPH NODULE ). 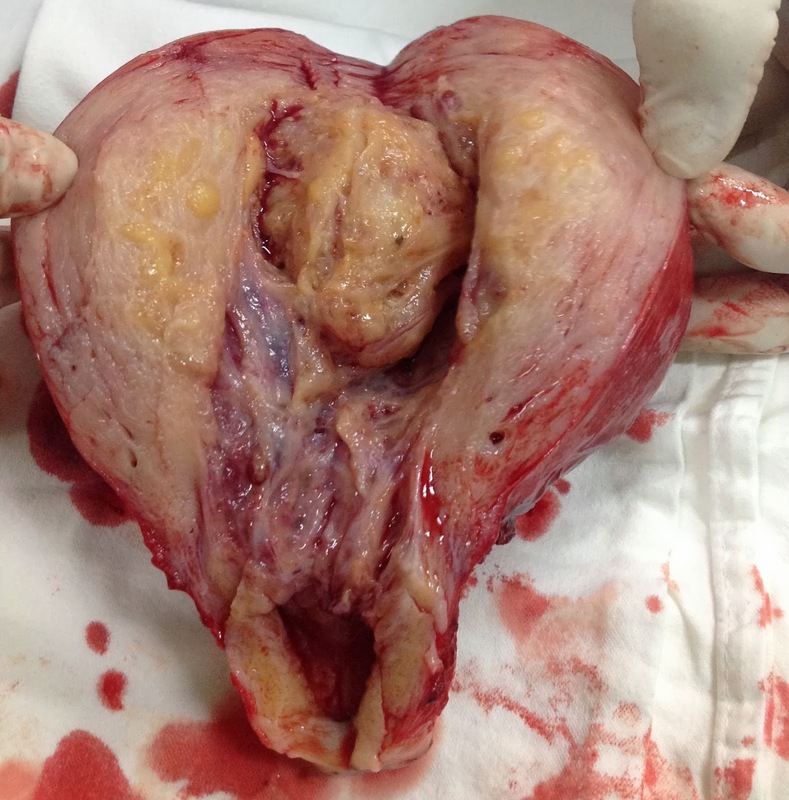 Woman 45 yo, nulliparous, vaginal bleeding. 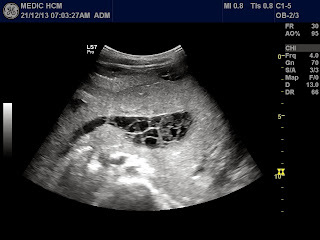 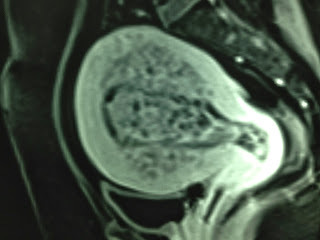 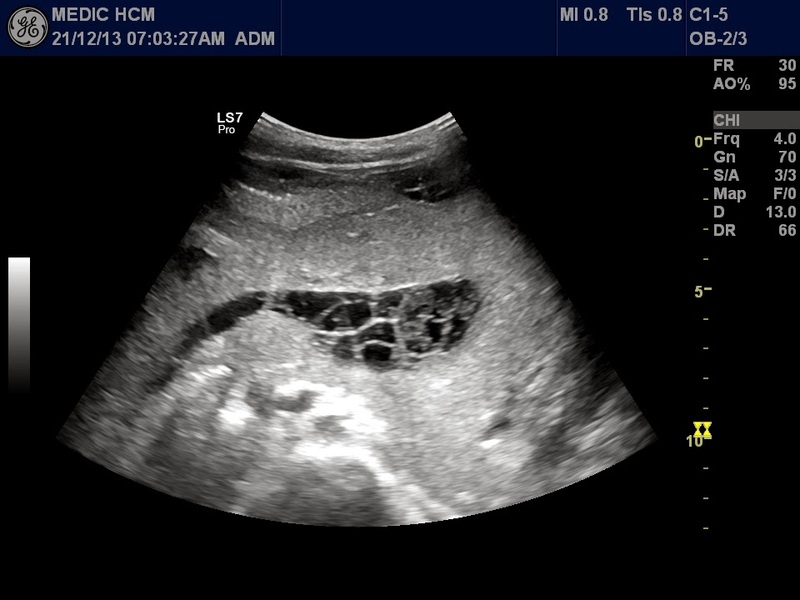 Ultrasound of pelvis showed big uterus and thickening of endometrium. 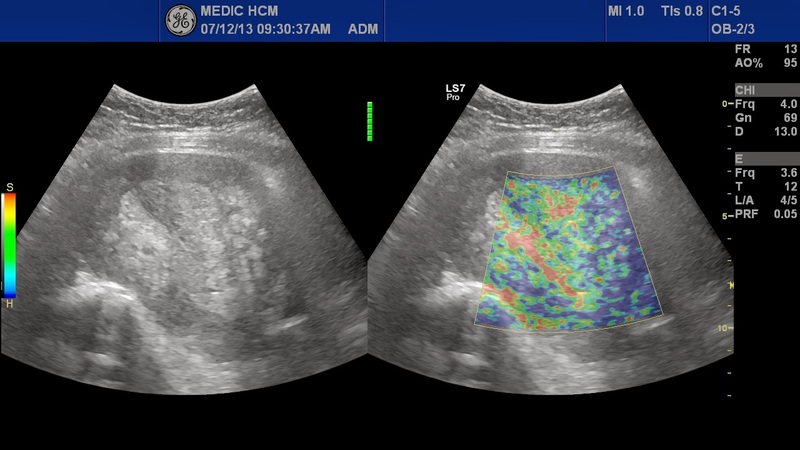 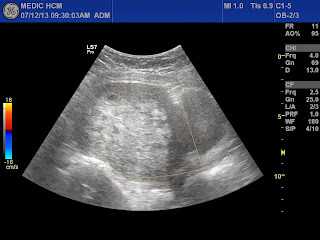 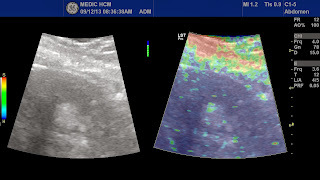 Elastoscan detected the mass of intrauterine cavity is soft and multiple white spots in myometrium. 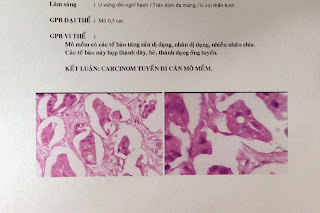 Biopsy result was endometrium hyperplasia. Hysterectomy was done. 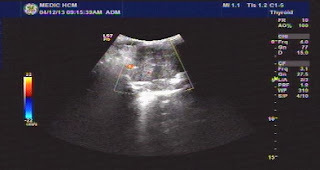 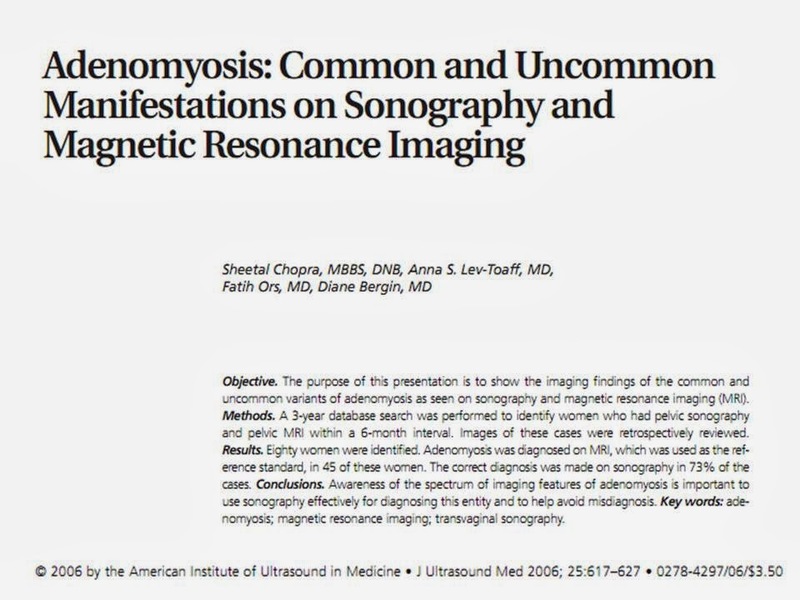 See macroscopic photo in correlation with ultrasound and MRI appearances. 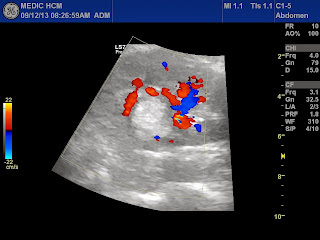 Microscopic report is adenomyosis with endometrium hyperplasia. 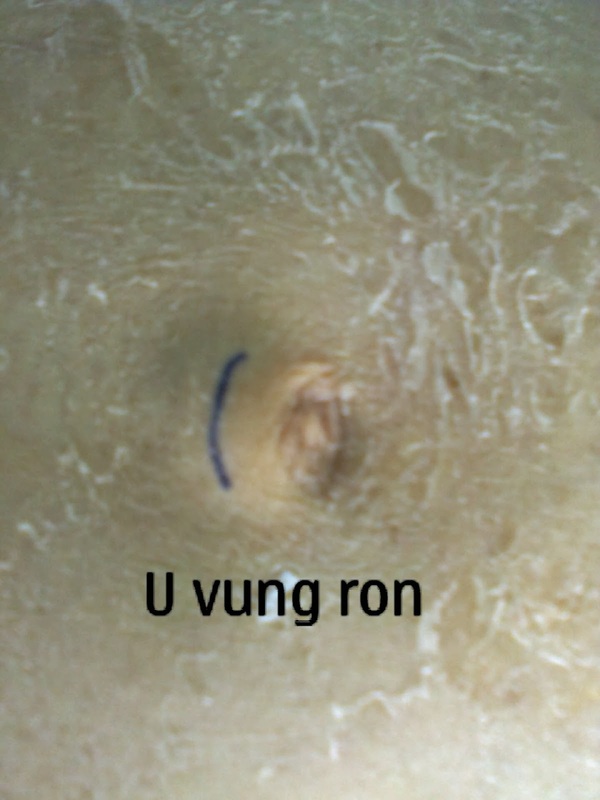 Woman 32 yo in health care check-up: ultrasound of abdomen detected left renal mass in hyperechoic central kidney with size of 2.5 cm, irregular border, and hypovascular. 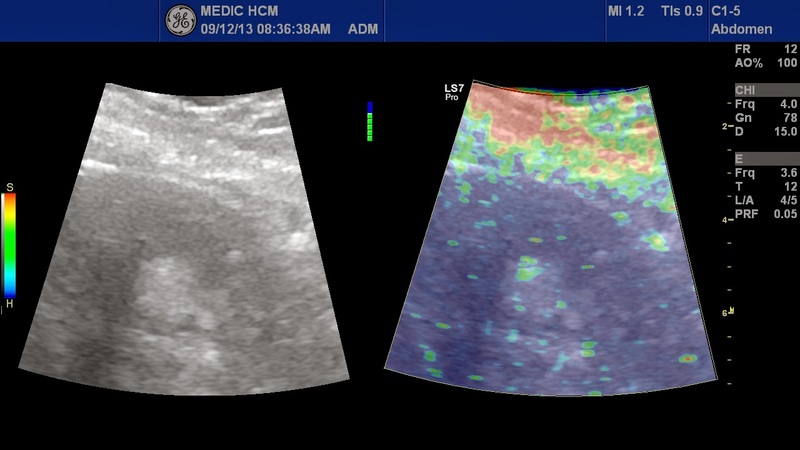 Elastoscan showed that hard mass. MSCT with CE of this mass is in rapid enhancement and quickly washed-out. 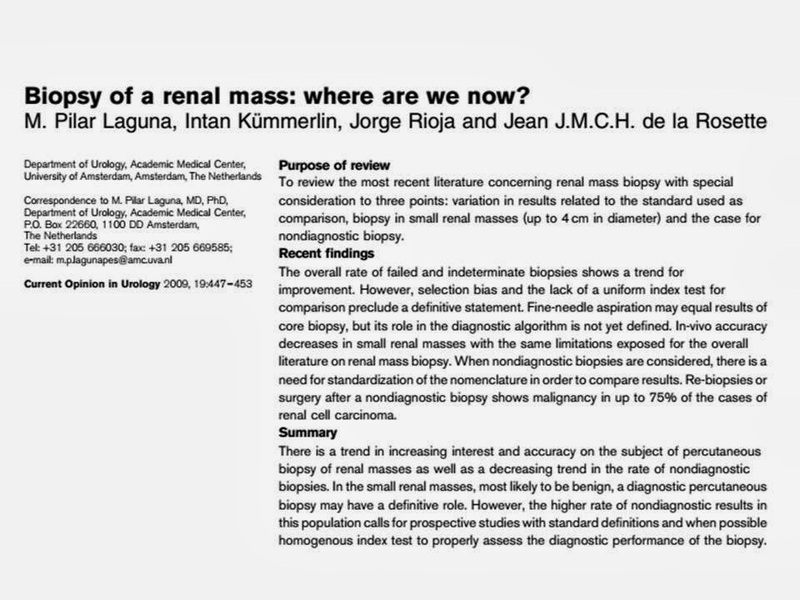 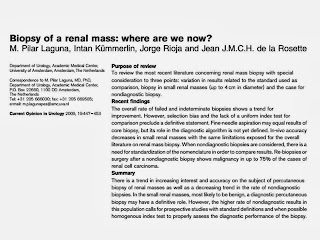 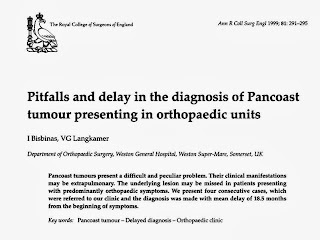 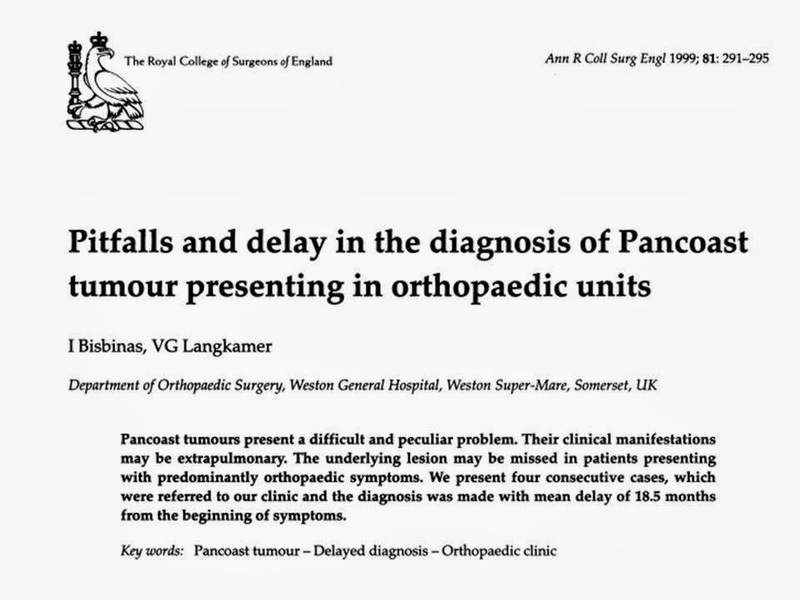 THIS CASE MUST BE BIOPSY OR NOT? 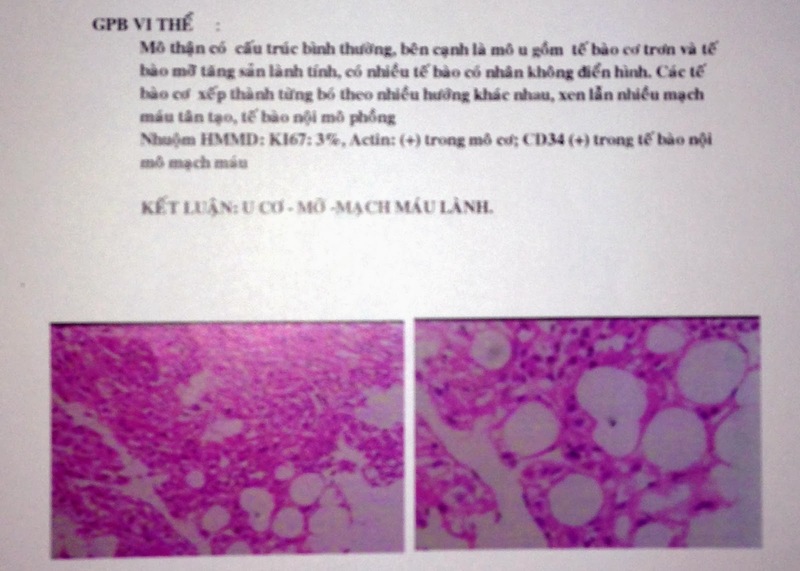 The microscopic report of histo-immunostaining is AML. 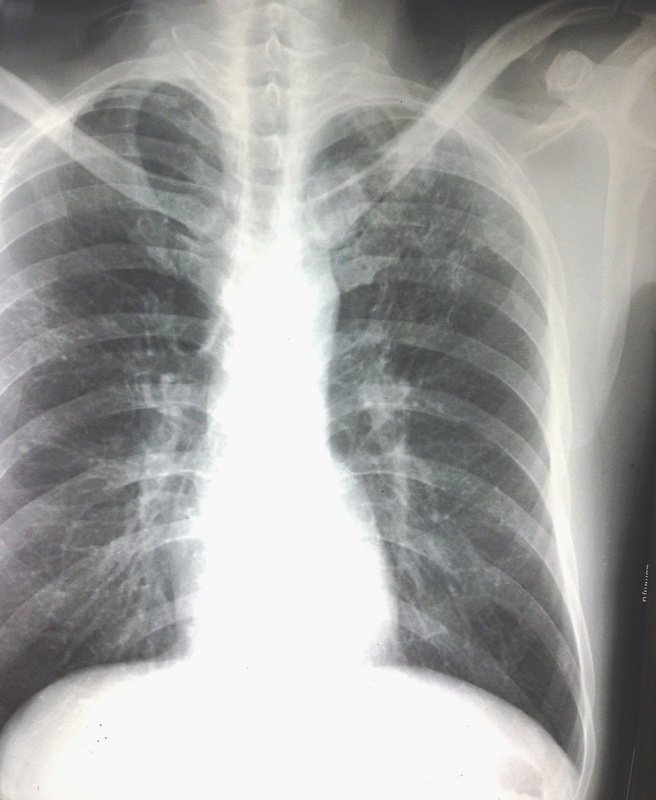 Man 41 yo, cough and pain at left arm; chest x-rays suspected lung tuberculosis, then he had been treated as antituberculosis for 3 months. 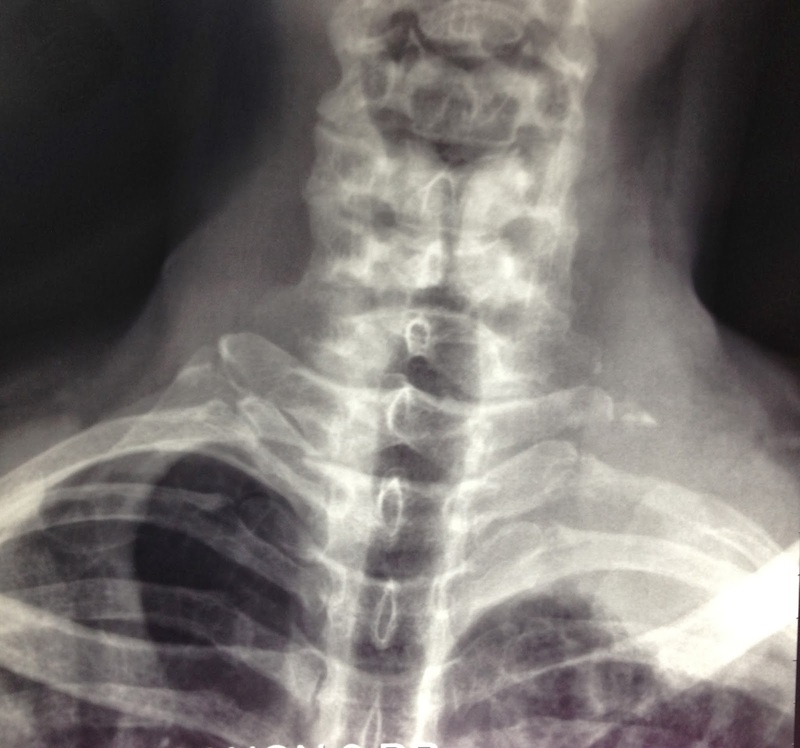 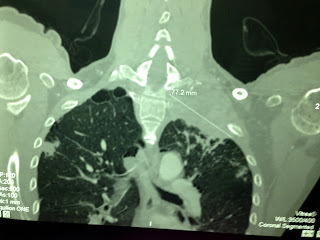 But the pain was getting worse and one mass appeared at left supraclavicular fossa. X-rays again showed this first rib in erosion on the left site. 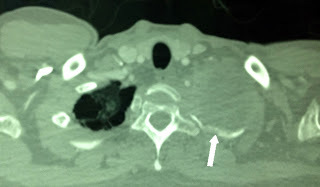 and fluid collection on the right site. 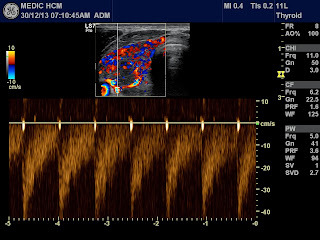 MSCT with CE of the lungs detected the mass destructing the first rib. 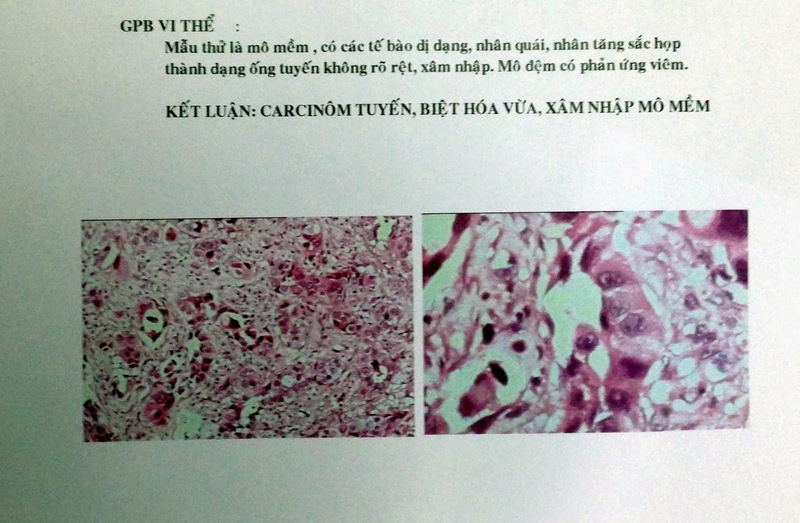 Biopsy microscopy report is adenocarcinoma , it is PANCOAST TOBIAS SYNDROME. 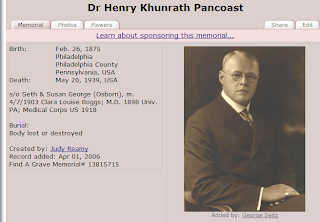 History photo of Dr PANCOAST K Henry.